We were commissioned to make the panel as a wedding present. Our clients brother who is Irish married a lady from Egypt. 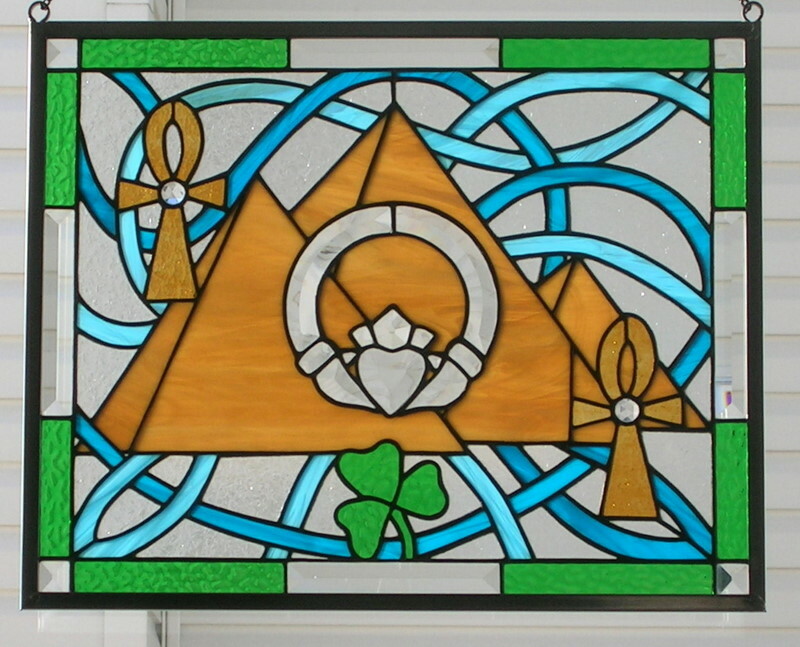 We put a beveled Irish Claddagh in the center of the panel, with 2 Egyptian Ankh’s, with the pyramids behind then tied everything together with Irish Celtic knots. 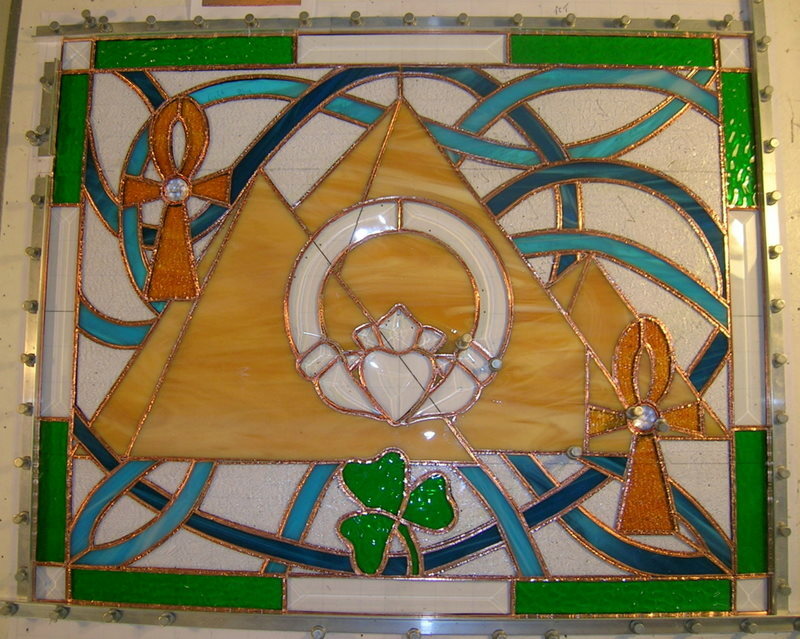 We used Emerald Isle English Muffle glass for the Shamrock and borders. This panel measured 20 x 16 inches. This panel was completed in early 2011. I think this one is fabulous. Great designs, and great colors! Thanks Sean it was a neat fun panel to make for this family for a wedding present, it got our creative juices flowing. WOW Great design Flory! I absolutely love this panel. Beautiful work guys!